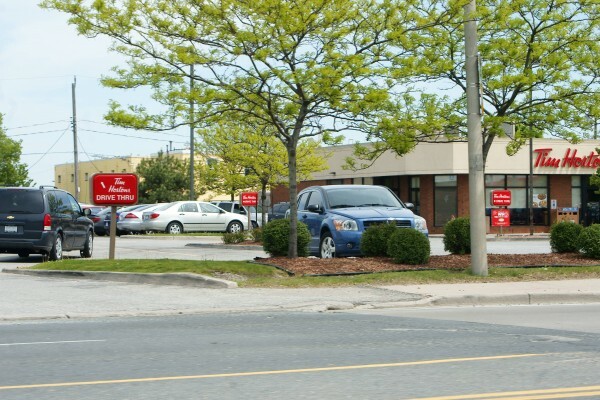 Walker Road / Highway 42’s Tim Hortons is set to become the first location in Windsor with a double drive-thru of the two-order and merge style if the City of Windsor approves a reconfiguration of the property. Under the plan which will see a small loss of landscaped area, the existing drive thru will be widened to two lanes with an ordering island in the middle. 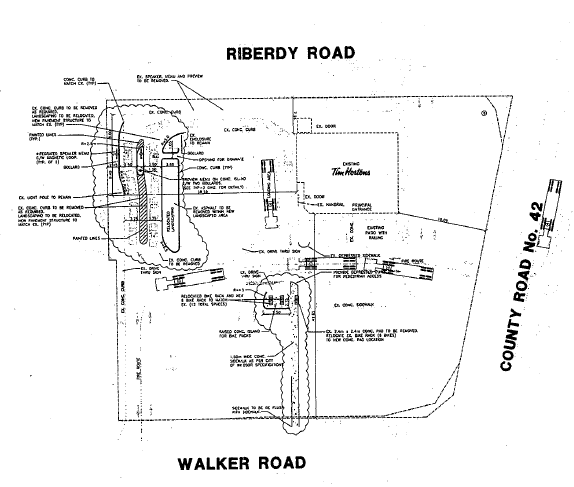 The plan will not change the speed and capacity of receiving orders unlike a location on Jefferson but will allow for drive-thru traffic to accumulate on Tim Hortons’ property instead of Walker Road. Many of Windsor’s McDonalds locations recently completed upgrades to double drive-thrus.